Clear the decks for one of the greatest swashbuckling stories ever told. 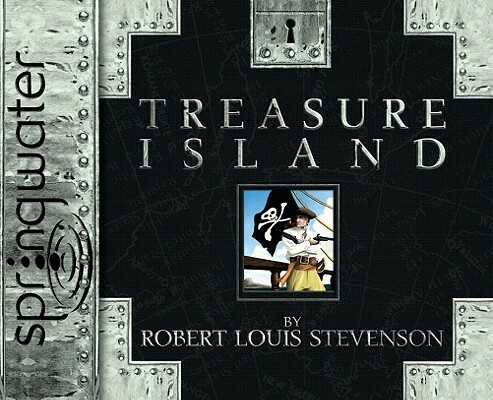 Masterfully crafted, Treasure Island is a stunning yarn of piracy on the fiery tropic seas—an unforgettable tale of treachery that embroils a host of legendary swashbucklers, from honest young Jim Hawkins to sinister, two-timing Israel Hands, to evil incarnate, blind Pew. But above all, Treasure Island is a complex study of good and evil, as embodied by the hero-villain, Long John Silver, the merry, unscrupulous buccaneer-rogue whose greedy quest for gold cannot help but win the heart of every soul who ever longed for romance, treasure and adventure. Since its publication in 1883, Treasure Island has provided an enduring literary model for such eminent writers as Anthony Hope, Graham Greene, and Jorge Luis Borges. Listen to this classic tale come to life for your family! Robert Louis Stevenson was born in Edinburgh, Scotland, in 1850 and became an acclaimed novelist, essayist and Poet. His special literary talent has given his classic stories of adventure (Treasure Island, Kidnapped, and David Balfour, among others) a lasting place in the annals of English literature. He died in 1894. "Young Jim Hawkins recounts this first-person adventure of piracy and treasure hunting, recounting his "life before the main." Tim Gregory narrates each word with loving tones as he revives this classic tale for today's listener. Gregory never falters over the all-too-familiar nautical and piratical phrases. Long John Silver, Black Dog, and other sailors conspire against Jim and his "partners," Dr. Livesey and Squire Trelawney, in their search for treasure on a deserted island. Bloody adventure and cruel murder are brought to life in Gregory's evenly paced tones. As the narrator portrays the young hero, the listener, regardless of age, is drawn into Stevenson's swashbuckling story of the quest for treasure in the tropics of Hispaniola."